Location and the hostel manager are helpful to answer all yr questions. Kind and friendly people, they prepared a tea for free, print our boarding passes for free, they were always asking if we need some help or guidance. The staff, especially Abu Sameer and Nasreen. Value for money as well. 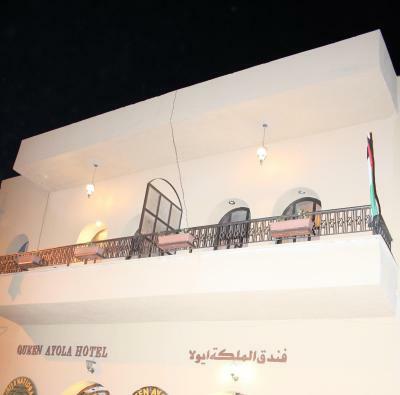 The hotel is located in a very central part of old Madaba - you're close to all the major tourist landmarks. I was fortunate that the owner spoke my language - Romanian, so this made my stay even better. 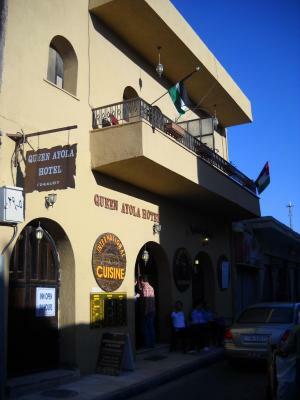 I stayed at this hotel twice during my stay in Jordan - first time when I went to the south of the country, the second time when I came back to Amman. If you have a rented care it's much better to drive it and stay in Madaba, instead of risking the crazy traffic in Amman. At the peak hours, there's traffic in Madaba too, but it's a piece of cake compared to Amman. 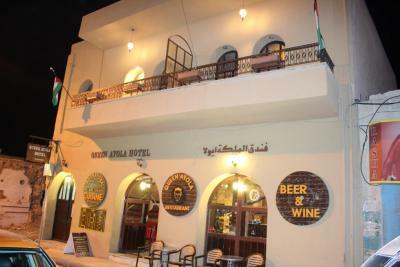 The second time when I came at this hotel I arrived one day in advance due to some unexpected events, but Sameer the owner found a room for me right away. 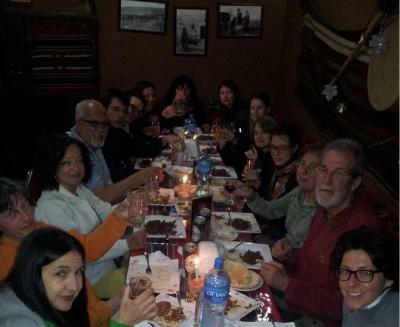 He is helpful, has a lot of knowledge about the area, and organisez private tours too. The breakfast is simple and standard, but you feel hearty after eating it. The staff was super friendly and nice. I really liked being there. 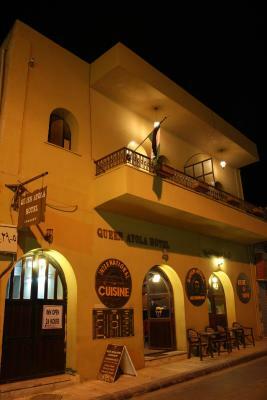 The hotel is located in the centre and offers a great restaurant and even a bar for those who want to wind down with a beer or some wine! 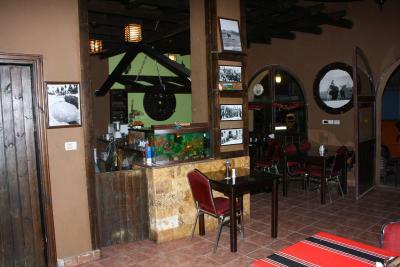 The restaurant is run by Khalil who will help you in any way possible. Very good value for the money! 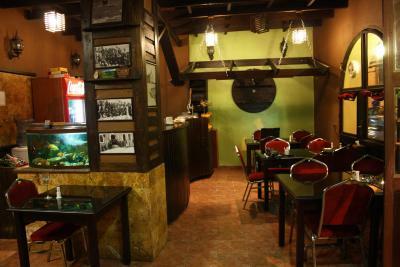 The staff are wonderful, warm and friendly. They try so hard to make your stay comfortable. The location was wonderful, room was quiet and breakfast albeit basic had fresh veggies, fresh bread and delicious tea with mint. Perfect location and friendly people. The owner drove us around an entire day and gave us a fair price. One of our cheapest nights in Jordan, on an evening when all we really needed was a bed. One of our hosts spoke a little English; both were very helpful and friendly. The hotel is well-placed for the Sky Restaurant just up the road, and we found decent on-road parking up there for our rental car. Plenty of little shops around for supplies, too. WiFi was decent. 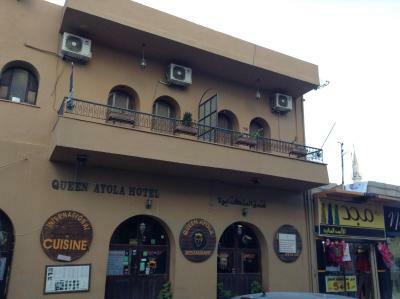 Featuring a restaurant, Queen Ayola offers rooms equipped with a satellite TV and phone. It is located less than a 2-minute walk from the Church of St. George. 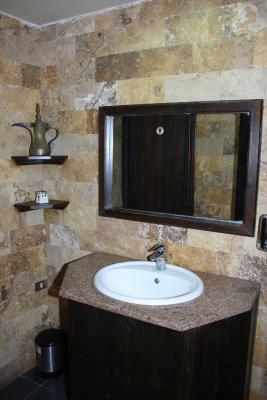 The simply furnished rooms have a fan and can be heated during cooler months. Room service is provided and free Wi-Fi is available in the rooms. 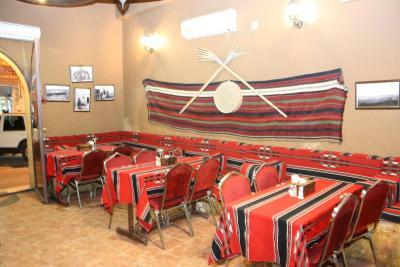 Tours to the historical sites in the city center of Madaba can be organized by Queen Ayola's 24-hour reception. They also offer a laundry and dry cleaning service. Mount Nebo is a 10-minute drive from Queen Ayola Hotel, and the Dead Sea is just a 30-minute drive away. 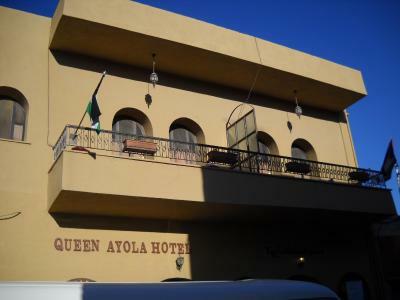 When would you like to stay at Queen Ayola Hotel? 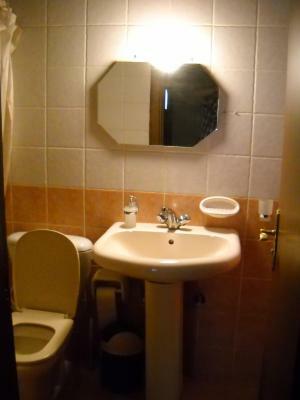 This air-conditioned room features extra long beds, a satellite TV and a wardrobe. 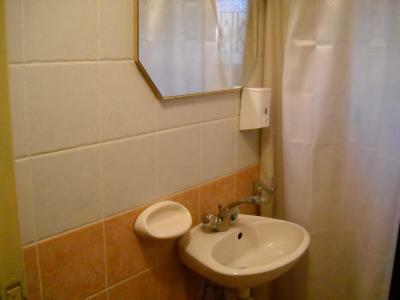 A shower is fitted in the bathroom. 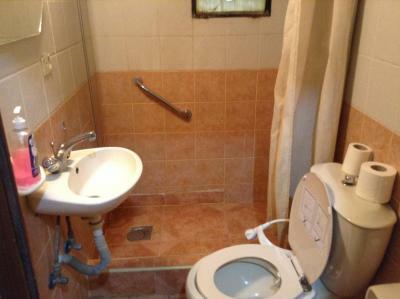 This room features air conditioning, satellite TV and a shared bathroom. 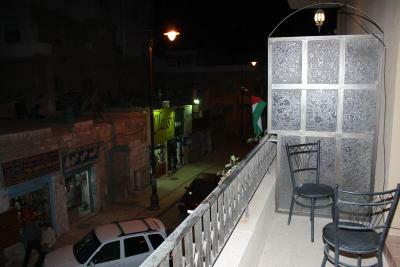 This air-conditioned room features a balcony.It offers extra long beds, a satellite TV and a wardrobe. 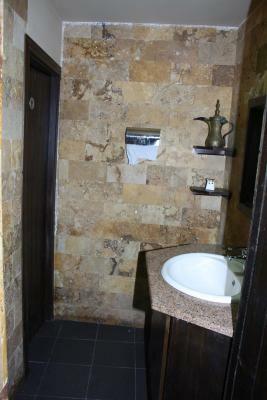 A shower is fitted in the bathroom. This bed in dormitory features a balcony, hot tub and tile/marble floor. 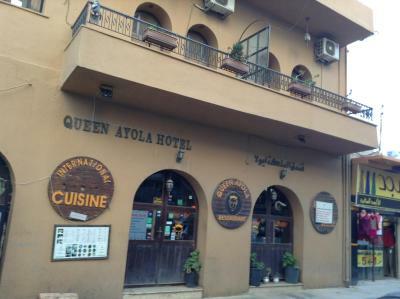 House Rules Queen Ayola Hotel takes special requests – add in the next step! 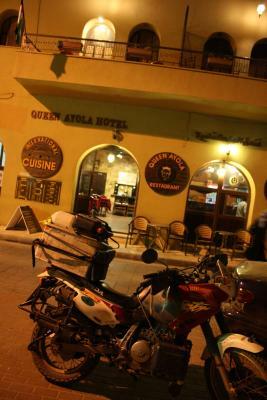 Queen Ayola Hotel accepts these cards and reserves the right to temporarily hold an amount prior to arrival. All was good for few nights. 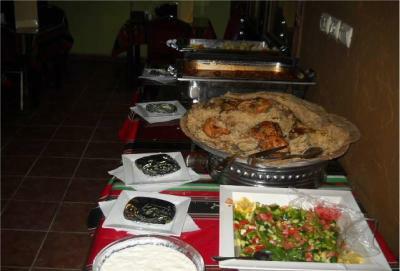 The food is really good and the young chef talk with you and explain with passion traditional jordanian food. 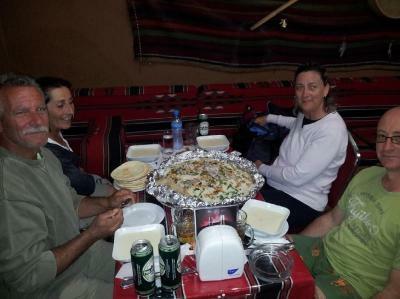 The old boy know everything about Jordan trip and suggest us a really beautiful and unknown trek! They make good tea with mint. Breakfast is a good buffet! Things could be improved. Showers especially could use some renovation. No water pressure and next morning no water at all. The owner smoked inside which we could smell up to our bedroom. Breakfast was mediocre. Beds are hard. The toilet was dirty. The door was extremely hard to unlock. Very central location and nice balcony. Just be aware that Madaba's streets are very busy, with one-way sections that may trip you up a bit. The rooms aren't the prettiest or perhaps the cleanest, but that is reflected in a rock bottom price we felt was fair. The bathroom was old and not very clean. We couldn't take a shower. the room and everything in it is soaked with the stench of cigarette smoke that makes a non-smoker puke, and if you have asthma better stay away because sleeping while suffocating is a serious challenge. no joke, it's the first hotel in 64 countries i visited where the cigarette stench was truly unbearable. Internet in room wasn’t working but does in the lobby so a minor inconveniences. Staff was super nice! Hotel is basic but clean. Good local breakfast. Fab location. Comfy bed. 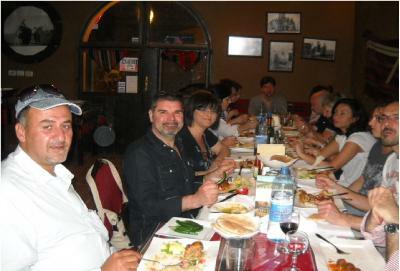 Abou, the owner, was really helpful with us, he is a really nice person. He gave some tips about wadi to do in the area. Thanks a lot!